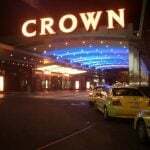 Downtown Las Vegas casinos Four Queens and Binion’s reached tentative five-year contracts with the powerful Culinary Union on Monday. The announcement secures new employment terms for 650 workers. 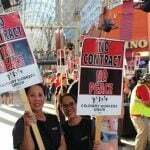 The Culinary Union, which represents 50,000 union members employed at Las Vegas casinos, threatened to strike as previous contracts expired on June 1 at 34 Strip and downtown resorts. The group represents kitchen employees, bartenders and waitstaff, bellmen, porters, and housekeepers. Of the 34 resorts where new terms were needed, MGM Resorts and Caesars Entertainment accounted for 18 of the properties. The two large casino operators reached deals with the Culinary Union just days after the June 1 deadline. With deals reached at Four Queens and Binion’s, the Culinary Union has just seven casinos left of the 34 to finalize new contracts. On the Strip they are SLS, Treasure Island, and Margaritaville inside the Flamingo. Downtown Las Vegas resorts still negotiating include El Cortez, Golden Gate, The D, and Downtown Grand. The seven properties cover about 3,400 union workers. Union officials haven’t released specifics on the new five-year contracts. 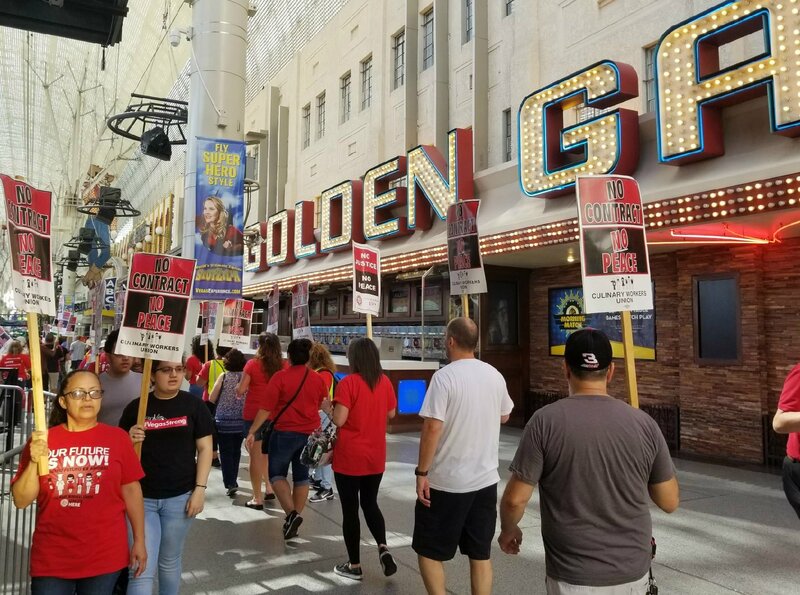 Before negotiations began, the Culinary Union said it was seeking, along with higher wages and benefits protections, increased security measures including ways to better combat workplace sexual harassment, and guarantees that technological innovations that reduce jobs be shunned. The union says a poll found that 59 percent of its cocktail servers reported being sexually harassed while on the job. Seventy-two percent of cocktail servers and 53 percent of housekeepers additionally said a guest had done something that made them feel unsafe. 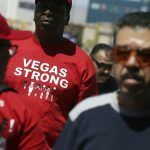 The fear of a worst-case scenario is no more, as union workers won’t be walking off the job at 34 Las Vegas casinos. Should they have done so, economic analysts say such a strike would have crippled the Sin City economy. Of course, the threat was always low. Union members said it was a last resort, but voted to authorize a strike in order to give them additional power at the negotiating table. Union spokeswoman Bethany Khan says it negotiates “one standard” for the contracts, meaning each casino property is coming to nearly identical terms as the next. 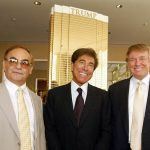 Should a casino refuse to meet the union on the agreement, Khan says a strike is still possible. The outstanding casinos do not necessarily mean they’re not willing to comply to the five-year terms other casinos are. The Westgate, which signed new deals just last week, said it agreed to stall its negotiations to allow the union to first settle with the larger casino operators.